Drummer Ron Enyard has been a fixture in the local jazz scene for many years, and has a regular gig at Om Eco Café in Clifton every Monday night. He’s with Frank Johnson to talk about his newly released CD called Live at Kaldi’s Again. This is a compilation of recordings with his trio and special guests from 1990’s at Main Street’s iconic coffee house. 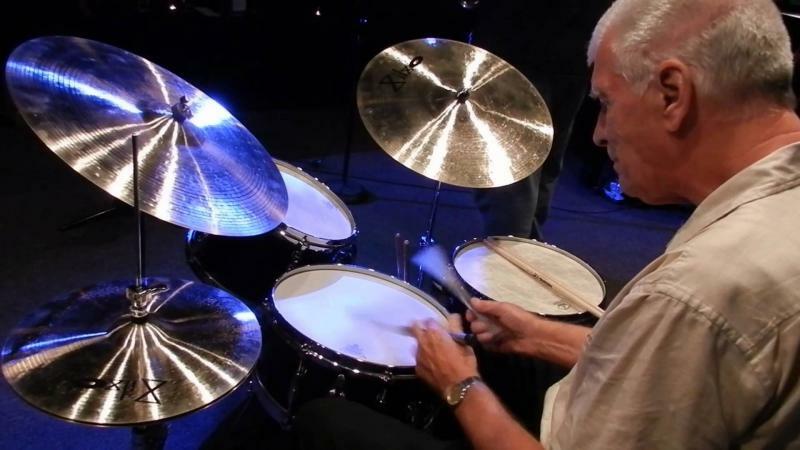 Drummer Ron Enyard has been a fixture in the local jazz scene for many years, and has a regular gig at Om Eco Café in Clifton every Monday night. He’s with Frank Johnson to talk about a CD from a 1967 gig at the old Herbie’s (a club that was on the corner of Taft and Hackberry) with saxophonist Bobby Miller, pianist Sam Jackson, and bassist Burgoine Denny.